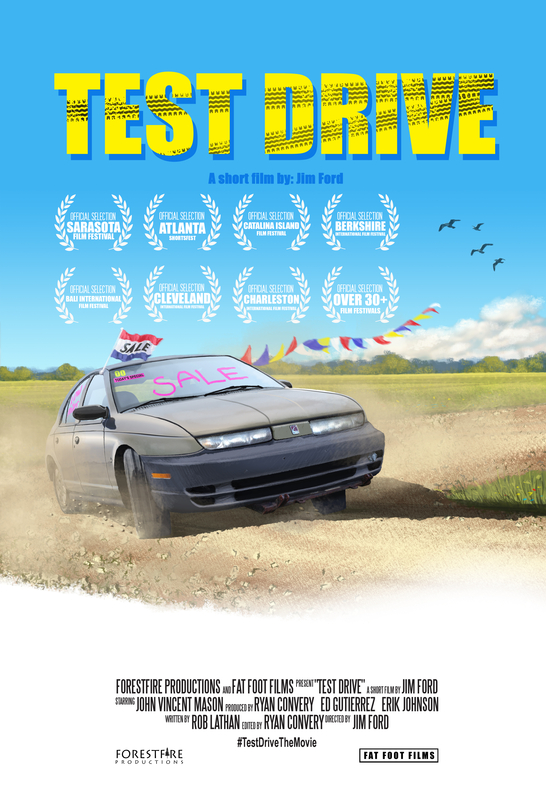 Test Drive is an award winning short film directed by: Jim Ford. It was the official selection of over 35 film festivals. Synopsis: A stuntman shocks a salesman with his unusual way of test driving a car. 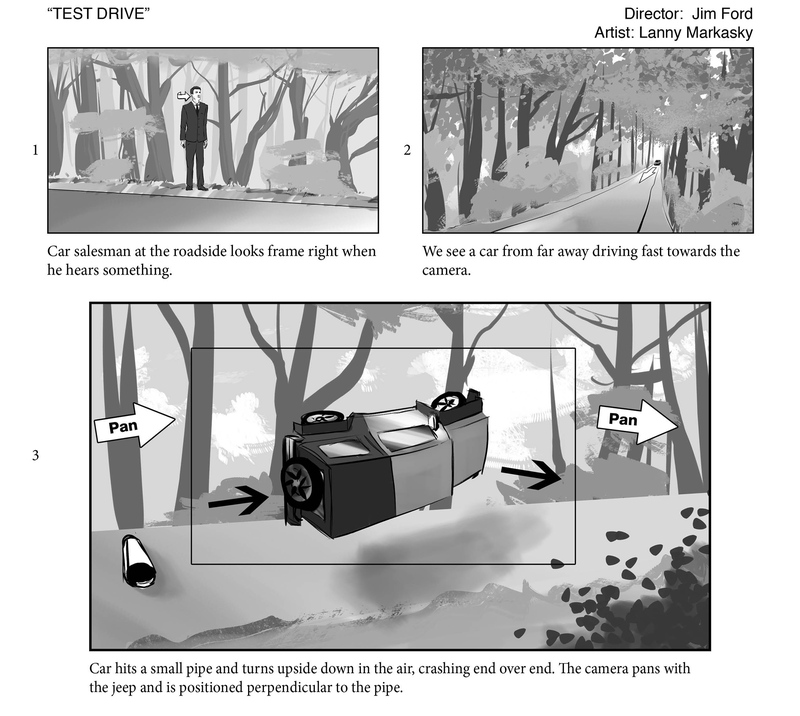 What we were trying to accomplish in TEST DRIVE, was something that has never been done before in film... an enormous car stunt where the driver gets out of the car without an edit or a cut, from start to finish. What you see is a real car crash. There is no special effects or stunt doubles. Typically, a vehicle stunt of this nature requires a heavy, metal, roll-cage for protection. However, when you have a cage, the driver is not able to pop out quickly after the crash. The cage is there for the driver's protection but often requires a team of professionals to get him out. Incidentally, there needs to be an edit or a cut to conceal the time it takes the driver to get out. 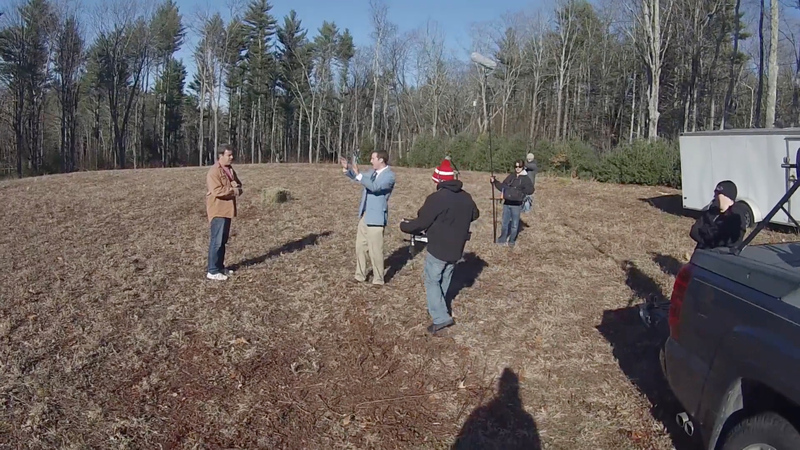 What we did that is so special, is a double roll over in a single long take. As an artist, I have been a fan of the short film for awhile and have always had a guilty pleasure for stunts and action movies. To be able to combine my two loves and make action artsy was an incredible experience. Finding a location...to crash a car!! 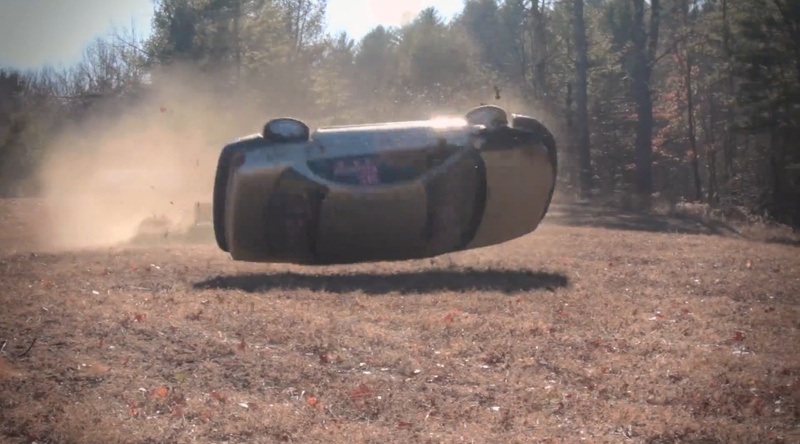 I didn't think it would be that difficult to find a place to flip / crash a car. I mean, we're a group of professional filmmakers and even have ties to the stunt community... how hard could it be? People love movies and are always excited to help. They say: "sure!!" sometimes before you tell them the title. Not the case when an exciting and dangerous car crash is involved. Most would laugh... but eventually they all said NO. Some actually said YES then changed their mind a week later. (that was fun.) We tried friends, family, social media, ads in the paper, ads online... we even went door to door. We hired multiple location scouts then hired more. It was over six months of people saying NO. We had storyboards, we had reels and clips of the stuntman's previous crashes but still nobody wanted the responsibility. They were all thinking "what if ?" It was beyond frustrating. I could feel it, the crew was starting to stray. I refused to give up, so I went for a drive to clear my mind. Out of the blue I got a voicemail from a kid I went to high school with saying he knows a lady. I called him back and remember he said this: "Ya, she's a farmer, got a ton of land. Don't worry, she's cool. You might have to buy her a bottle of Malibu though."